PC version reviewed. PC version appears to suffer from very poor optimization as noted. 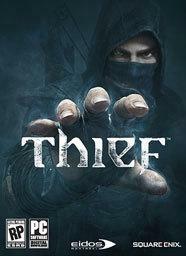 It's been ten years since master thief Garrett has made an appearance in a video game. The reboot of the classic franchise attempts to build on the success of 1998's 'Thief: The Dark Project', 2000's 'Thief II: The Metal Age' and 2004's 'Thief: Deadly Shadows'. Announced during May 2009, the Unreal 3 powered game was in development at Edios Montreal for more than four years before the recent launch on five platforms that include the PC, PS4, PS3, Xbox One and Xbox 360. Unfortunately, the lengthy development time did not help bring focus to the wandering narrative. Marred by poor character development, it's tough to get invested in any of the main characters. I had more empathy for the people of The City, a dismal urban environment with streets littered with homeless citizens. Of course, that's only if the corrupt, violent regime wasn't already hanging those citizens with a tight noose and displaying their lifeless bodies overhead. Strangely enough, that's only a minor backdrop to the supernatural debacle that's experienced by the player though Garrett's eyes. Without giving anything away, it's totally unnecessary and forces the player into completing several tedious hallucination sequences throughout the game. In addition, the pacing of the narrative is dreadful and drags for the first two thirds of the game. There's little incentive to find out what happens to Garrett, thus pushing the story along feels more like a chore than a delight. Of course, there's a tremendous amount of effort towards pushing the player into the path of stealth and unabashed thievery. Garrett is armed with a number of tools that help him stay completely out of sight such as dousing a nearby torch with a water arrow or causing a distraction with a flash bomb. One of the most entertaining options is Garrett's swoop ability, a way to race between shadows in order to keep out of the nearby guard's view. Sadly, the swoop ability is one of the only fluid movement abilities in the game. Simple actions, like dropping to a platform below or grabbing a rope, seem clunky and dated. The same goes for each time Garrett opens up a drawer to search for loot. Combat is just as dated, relying heavily on a dodge-counter system to survive. The player can also try to rely on arrows, but it's often pointless to try and shoot an arrow when being mauled by a sword. Garrett is better off running to a safe location and hiding until the angry guard gives up. While the layout of The City feels open, it's actually quite linear. It's not totally clear what type of ledges can be climbed or what windows lead to an entirely new area of the map. Also, the immersion is stripped away when a new section of the city has to load up. Hilariously, guards don't follow Garret to new sections of the city, thus a cheap way to evade guards is to simply run to the exit point to load a new area. It's a tactic that can be repeated again and again without consequence. On the side note, the mini-map in the pause menu is nothing short of useless. Garrett's primary obsession is to steal everything in sight, at least items that are worth a minimum of a single gold piece. While stealing is only a secondary pursuit in most of the story chapters, it's the main focus of the side missions. Obtained in the form of contracts from a fence, these are easily some of the most entertaining missions of the game, only because the focus is strictly on stealth and theft. Side missions are also an excellent way to earn enough coin for all the equipment upgrades, many of which will improve player performance in the main story chapters. If you haven't played a 'Thief' game before, Eidos Montreal doesn't really do a great job of explaining how things work. For instance, there are tools that can be purchased from black market dealers. These tools are significantly helpful for specific chapters and are often required if you want to steal an exclusive piece of loot. However, the developers offer no hints as to when you should consider spending gold on those tools. Despite the general lack of direction, Garrett's focus ability does a good job of leading the player to items to steal and secrets to unlock. When active, the ability lights up items in blue and red to indicate interactivity. Blue items could be loot to steal or documents to read while red items indicate some form of a trap that could harm Garrett. However, veterans of the Thief series may not enjoy the focus ability and could prefer to play at the highest difficulty level to remove that option. Visually, there's quite a bit to complain about and it's really just boils down to a sloppy port. For instance, I experienced a graphical bug in Chapter 3 (pictured below) that completely halted my progress in the game for at least 30 minutes. In short, there's a medallion used by Garret as a key towards the middle of the chapter. In order to use the medallion, the player first has to line up a series of symbols etched on four metal rings on the medallion. Using Garrett's focus ability, the player identifies the symbols in the vicinity. Then the player should be able to see them on the medallion. My instance of the game didn't light up the symbols correctly, thus forcing me to watch videos online to correctly identify the four symbols (also pictured below). It's absolutely ridiculous that a graphical bug like this completely halts the player from moving forward at a crucial point in the game. As for overall performance, there are serious issues of slowdown that I simply haven't experienced on other recent releases. My system has a quad-core 2.9 GHz AMD chip, 16GB of RAM, a SSD drive and a GeForce GTX 660. I experienced many slowdown issues in 1080p resolution, specifically during the in-game engine cutscenes. I eventually just gave up trying to tweak it and scaled back to 720p windowed as well as mid-range textures to run it smoothly. However, I will say that how lighting interacts with Garrett's stealth is impressive and often led to some of the most tense sequences in the game. While the dialogue work is decent, there are multiple instances where the conversation loops over and over when wandering around the city landscape. In addition, guards often get stuck in a conversation stance, often when a conversation isn't even occurring. This is troublesome for the player since guard movement is crucial when staying hidden in the shadows. The sound effects within the incredibly creepy asylum mission are absolutely terrifying and easily one of the high points in the game's audio. The developers did a heck of a job placing bloodcurdling noises when Garrett's attempting to pick locks or simply move around the abandoned asylum. As for the score, it sets the mood for the dystopian landscape. The sound design also does a great job of heightening the tension when Garrett is discovered or about to be discovered. If you just blew through the main story and avoided the side missions, you could probably finish the game in under 10 hours total. If you complete the side missions (easily the most interesting missions in the game) and spend a bit of time exploring for all the treasure, you could easily put 15 to 20 hours into the game. Beyond that, there are multiple challenge modes that allow you to compete for spots on online leaderboards. All the challenges are focused on gathering loot quickly and efficiently, but none are particularly interesting. The biggest issue with the execution of Thief is that the stealth genre has evolved much farther along and left behind the series that started it all. For instance, 2012's 'Dishonored' is vastly more capable at melding stealth and action than 'Thief,' a game that was released 18 month later. Of course, the tedious supernatural narrative, Garrett's dismal fighting abilities, numerous graphical issues and audio glitches aren't doing the game any favors either. Reviving an old franchise while targeting five platforms with "a heavily modified Unreal 3 engine" may have been more than the team could reasonably be expected to contend with. I can't recommend 'Thief' to anyone beyond those who have invested lots of time in the series more than ten years ago and simply want to take Garrett for one more spin in the shadows. For everyone else, revisit 'Dishonored' with all the DLC packs during the next Steam sale.